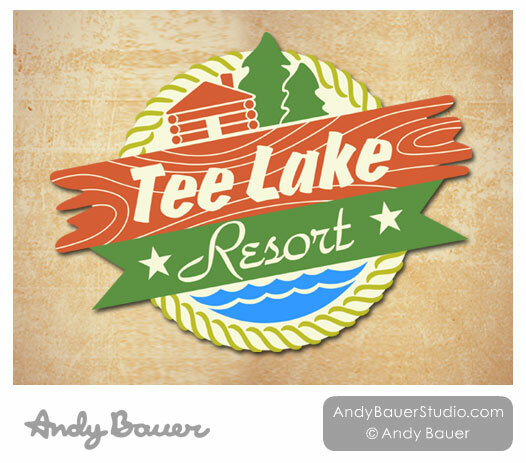 We wanted a graphic logo for Tee Lake Resort. 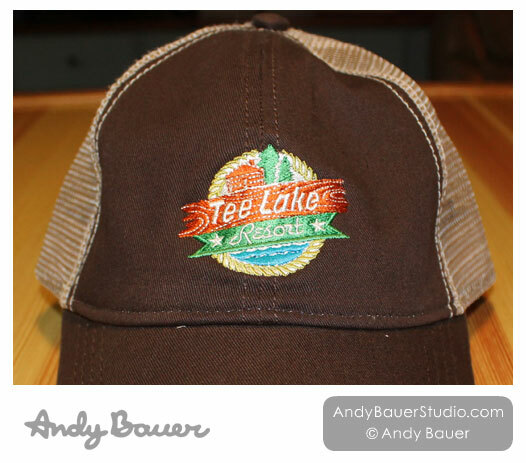 Along with my husband, Dave Gugel, we came up with the concept and screen printed it onto reusable grocery bags and embroidered it onto baseball hats. 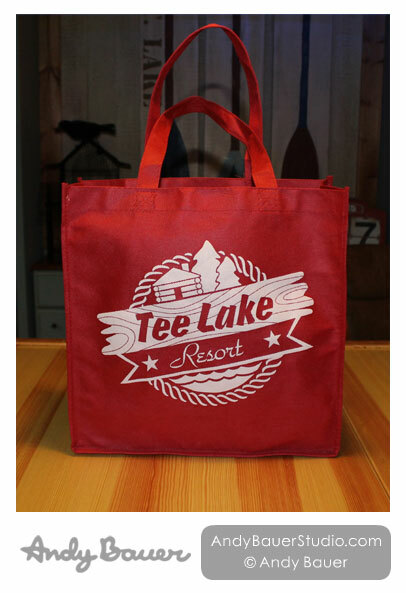 This entry was posted in Advertising, Illustrations, Logos, Merchandise, Surface Designs. Bookmark the permalink.